I’m filing this in the review category, but truthfully it’s less of a structured review than my previous submissions and more of a jumble of impressions of the figure. It’s no secret that I’ve struggled to maintain a regular stream of content for this site, so this is just part of my ongoing search for a new format that will prove tenable for more frequent posting. Going in, I thought the “chocolate” in Shinrabanshou Chocolate was just a nonsense name, but it turns out that it’s actually a chocolate snack packaged with collectible cards featuring anime-styled characters. Go figure. 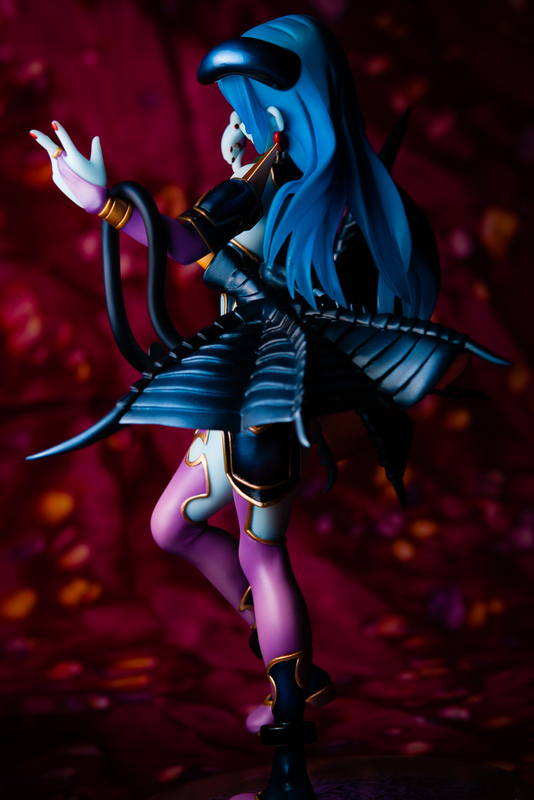 Astaroth’s character design is rather interesting in that she’s more of a fully realized demon girl than we usually see. 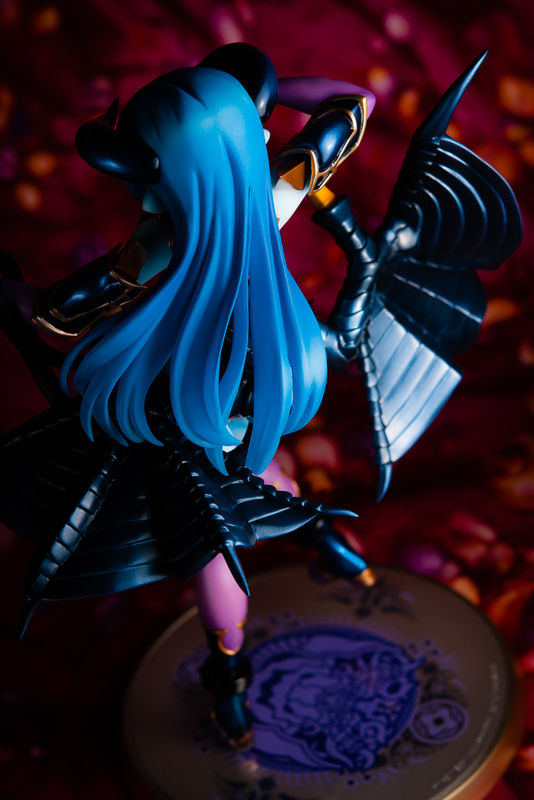 She has horns, wings, a tail, blue skin, and dark scleras. By comparison, the Seven Deadly Sins girls are also ostensibly demons, yet have only one or two notable traits (e.g., horns) marking them as such on an otherwise normal human body. The figure itself is pretty well done. MegaHouse did a very respectable job with the production sculpt and paint work. The obvious hair seam is the only area of any substance I could point to for improvement. My initial impression of the figure was that it was a bit small, but I’ve since compared Astaroth to a few other 1/8 scales and found the sizing to be more comparable than I had previously thought. She doesn’t take up much shelf space, which is a plus at a time when I’m quickly running out of places to display new figures. Astaroth features no cast-offs or alternative parts and required no assembly beyond plugging the figure into the display base. This simplicity of design is welcome when seemingly half of the figures I buy require non-trivial assembly. Astaroth was one of the least expensive figures I’ve purchased in recent years, at only $69 shipped, which I think can also be attributed to the limited scope of the design. Overall, I feel that Astaroth was a pretty solid purchase. The uniqueness of her character design, combined with the minimal impact to my budget and shelf space, should keep me from parting ways with this figure anytime soon. 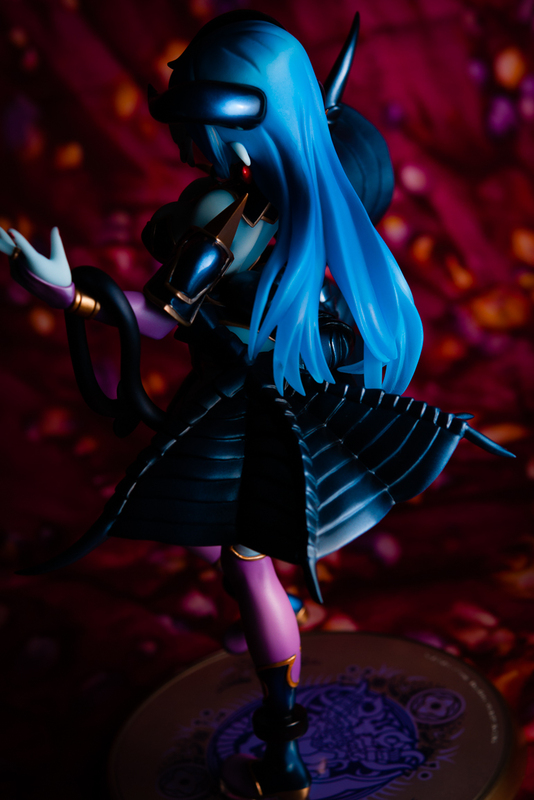 This entry was posted in Figures, Reviews and tagged 1/8 scale, Astaroth, MegaHouse, PVC, Shinrabanshou Chocolate. Bookmark the permalink.